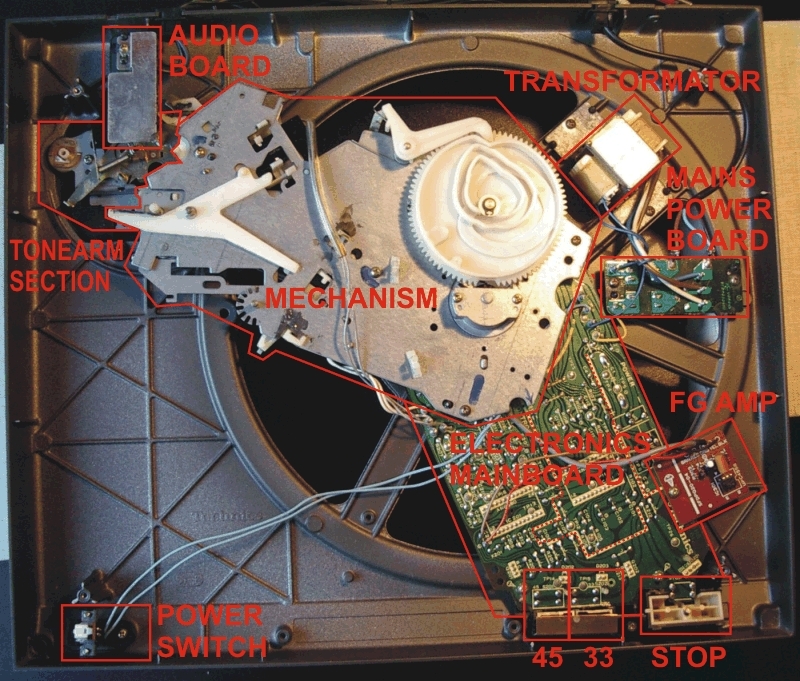 mainboard, mechanics or tonearm section. Remove the plastic cover and put it upside-down on a flat surface (don't ask why). 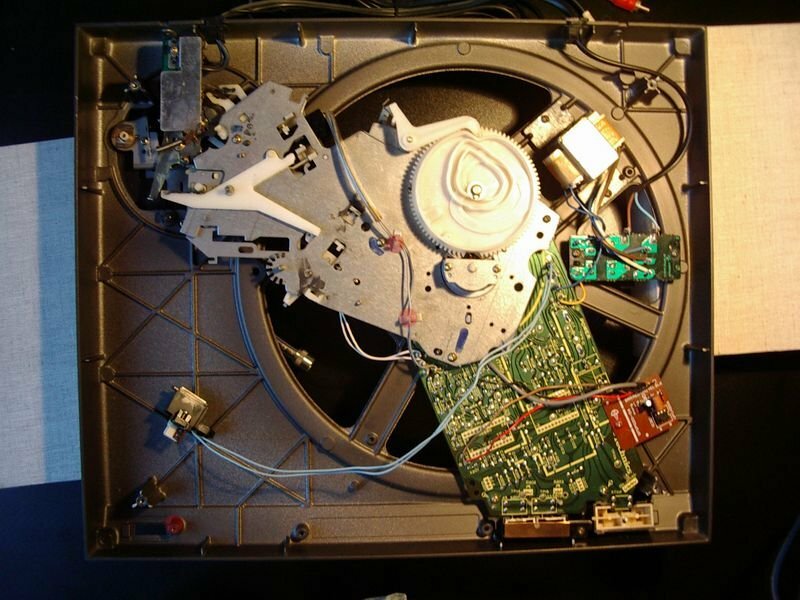 Get your turntable stripped of any remainig LPs, Slipmats or Slipsheet and unplug it. befor getting crafty. Lock the tonearm. when it gets loose. 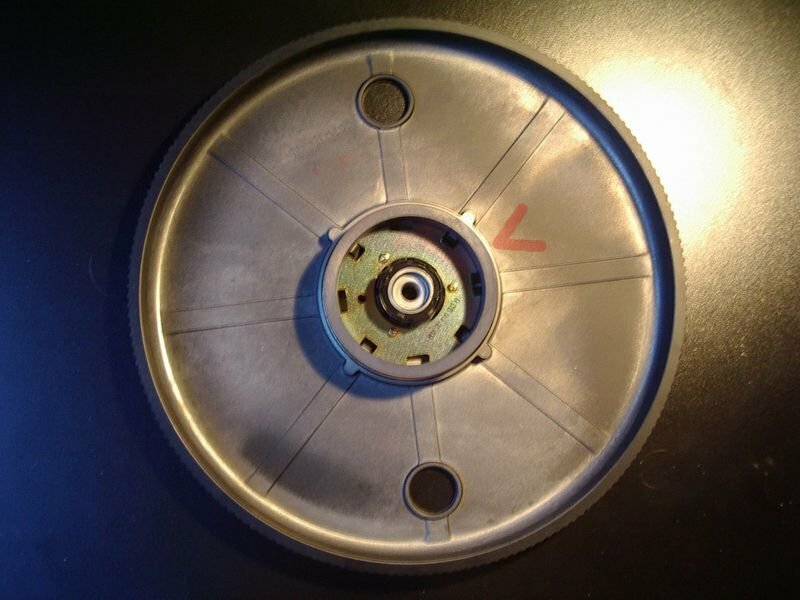 The axis/platter has a friction-locked, conical fitting, so it might need some power to loosen it. You may help a little by pushing down on the plastic with the thumbs. the platter, free of the axis. brittle. 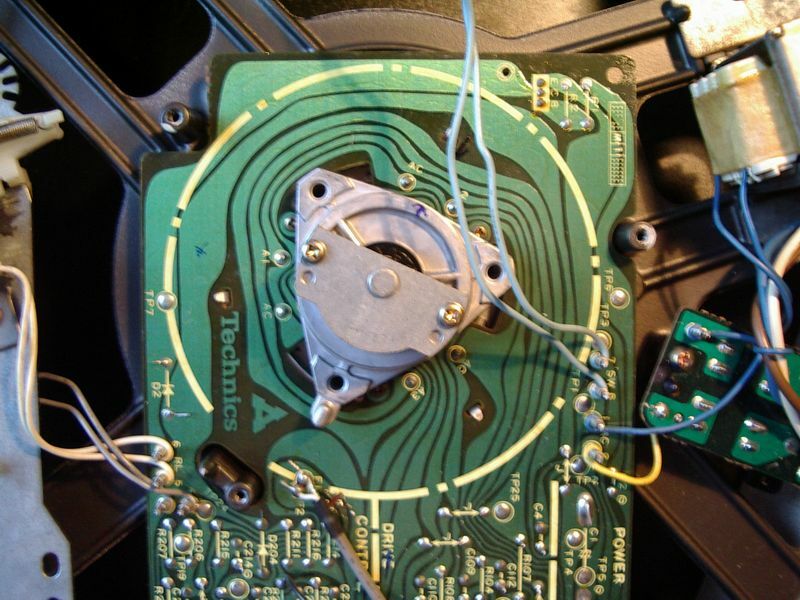 If you pinch the magnet while dis-/assembling some slivers might break off and make your turntable flutter. 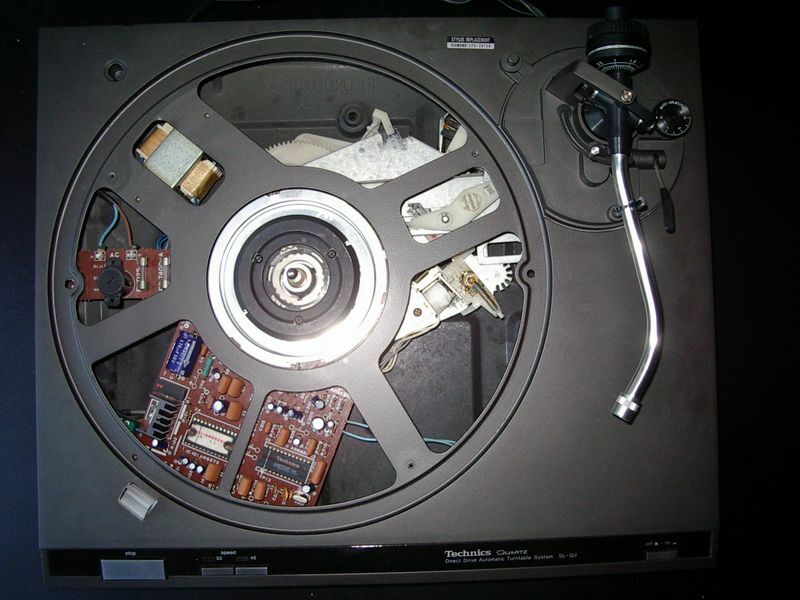 Remove the three black screws that hold the stator and axis together. Remove the three redish screws that hold the plastic cover and take off the cover. Turn your turntable around and put it carefully on the plastic case (there you are!). 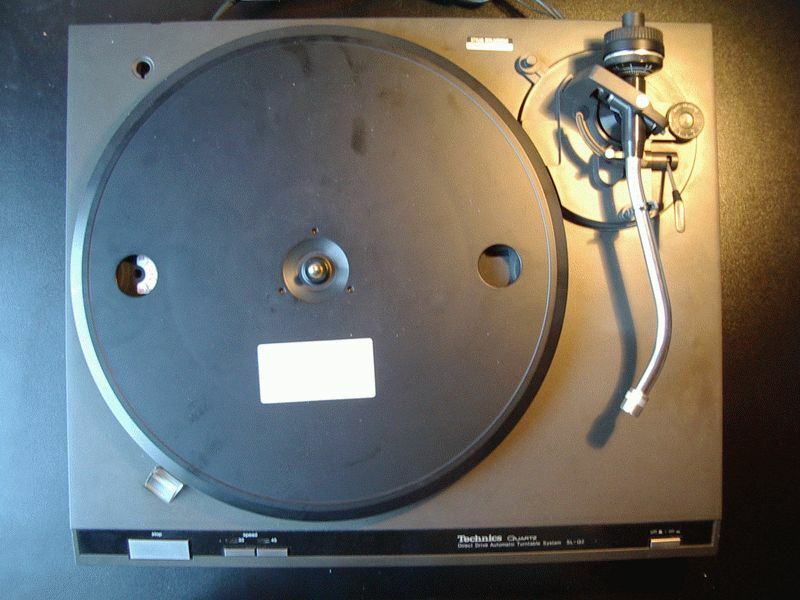 You can also put it anywhere else, but be sure not to touch the tonearm. Remove the four feet by removing the screw in each of them. 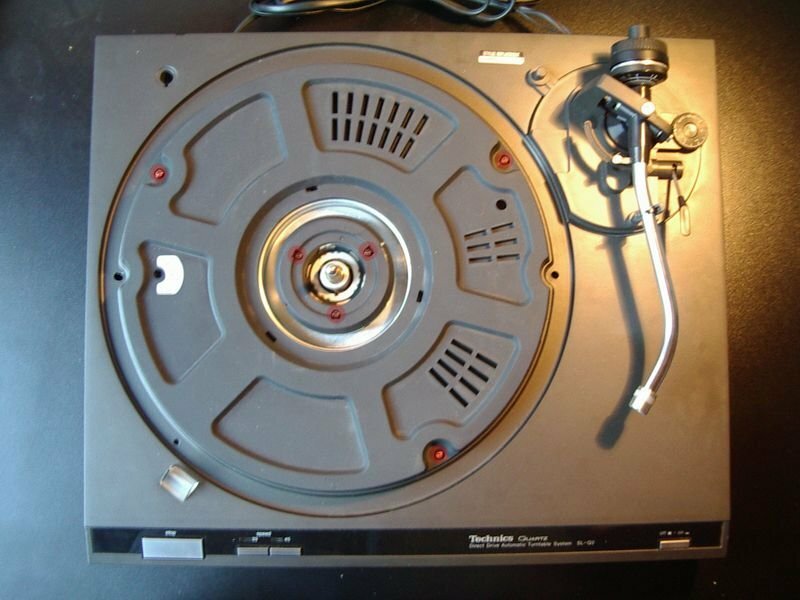 Then take of the plastic, covering the bottom side of the turntable. Unscrew the main power switch. Get the grey cable (from the auto-on/off switch) and the white cable (from the relay) outn of the clips. Remove the FG-AMP-board from the mainboard. 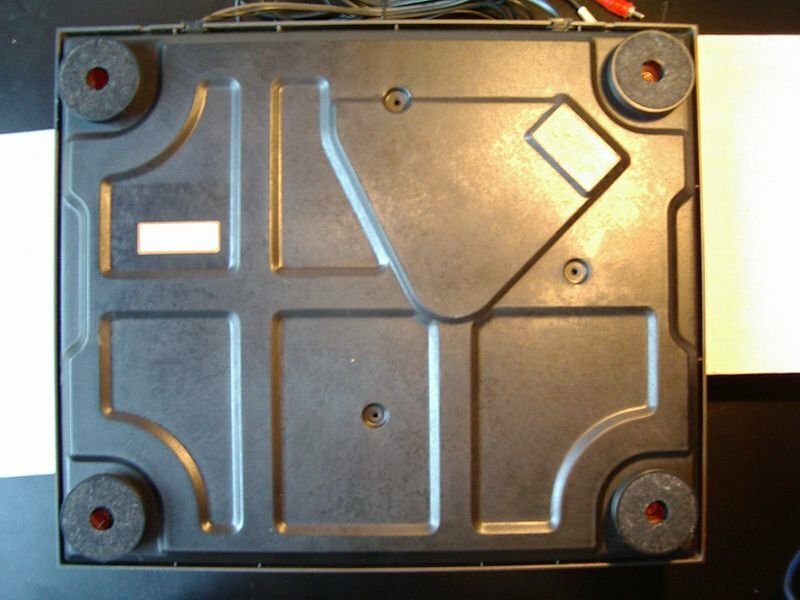 Remove 4 screws to release the mechanics and an additional 2 screws near the switches to release the mainboard. Now, pull up and remove carefully the mechanics section. Now you can remove the mainboard.